Why do I try to convince people that they absolutely must include regular massages into their life? Because I know what massages can do! I see the effects daily on my clients. 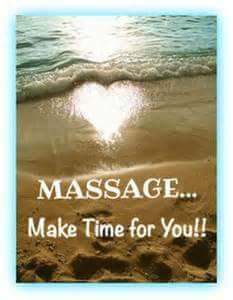 If you Don't get regular massages you are definitely missing out! Find time to see what all the hype is about. When you truly find a caring massage therapist that knows WHAT they are doing... stick with them! Aren't you worth it? Isn't your health and wellness worth it? Just try one today! I'm willing to bet you will ❤ it!